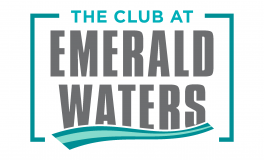 The Club at Emerald Waters provides you with a wide selection of community amenities and services you won't find anywhere else. From a 24-hour fitness gym to centrally located laundry facilities, we've got you covered. Enjoy our pet friendly environment at our community playground or get moving with our resident tennis courts. View our pet policy to learn more! Make a splash in our sparkling, resort style swimming pool, the perfect place to relax. Our on-site business center allows you to have the perfect balance of work and play. Rest easy with other features like online payments and on-site maintenance. Visit us today to take a community tour! Parking is open on first come first served basis. All resident vehicles must be registered at the office and must have a parking decal in the window. Registration is $30 per vehicle.